Horses are great teachers because they have an innate ability to read body language and emotion in a way that ensures their survival. What does that mean exactly? Horses are great at distinguishing potential predators, through the muscular tension in their body. Equally, horses sense what feels safe, like the positive energy of a herd-mate. Horses are programmed to move away from something that feels like a predator, and towards something that feels safe. The herd is very important to them because horses can't see 360º around their body. Living in a herd gives them “eyes in all directions”. Moreover, we've domesticated horses which makes them more open to receiving us as a “herd mate”, when our emotions are "congruent". This is an important concept. When we resist or fight what we are feeling, this creates muscular tension, and so the horse moves away (as predators tense their muscles before they pounce). When we accept what we are feeling, and allow the connection to happen, we feel relaxed or “congruent” to the horse, and it will move closer. In this way, horses offer immediate visual feedback about our emotional state. This makes it easy to talk about emotions, because we can translate them into the language of horse behaviour. When people struggle they tend to bury or mask their emotions, especially those who learned to be tough and push through pain, until they hit the concussion wall. Horses won't let you "push" your way into connection with them, but ask that you develop emotional acceptance… which enables entrance to the heart. Horses guide us into a deeper level of learning acceptance and receiving support. For people who are “go-getters” and do things on their own, this is an especially powerful learning chapter. Working with horses is an easy way to get comfortable with emotions and to relieve the stressful ones. 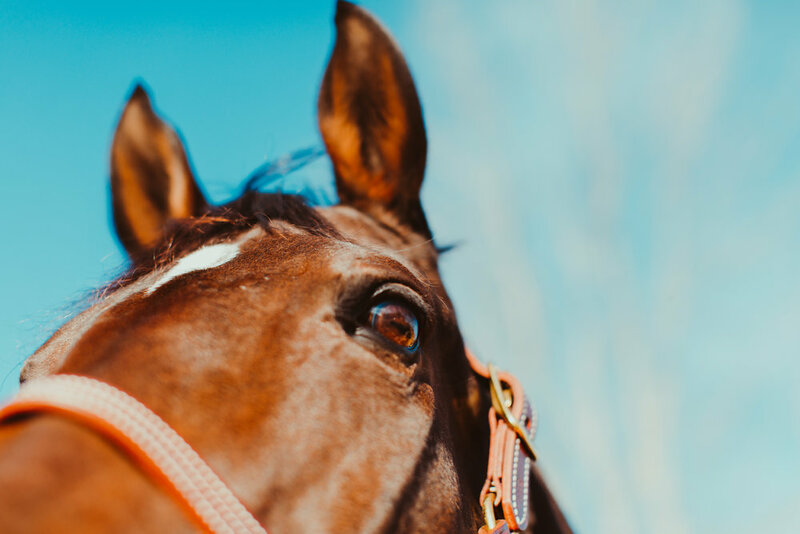 Horses help clients accept painful feelings and replace them with comforting ones that accompany the rich experience of connection. The very nature of Horse Medicine sessions helps those who feel isolated find understanding, acceptance and support. It is therefore useful in creating positive mental health outcomes, which require strong support systems to be present in a patient’s life. Healing with horses is by its very nature is relational. It looks at how you function in relationships in real time. Horses help people trust again that they can function in the world, and have healthy family, social and professional relationships. When feeling overwhelmed due to concussion symptoms, people can lose faith in this… and think they can’t function. Horses help people restore faith in themselves. My work is not about promising “Oh look, I will magically cure you from your concussion.” It’s about learning what qualities are important to you in relationships, so you can look for them in your life. It is not about overriding the body’s cues, but about learning how to listen to your body so you can build a life that works for you from where you are today.